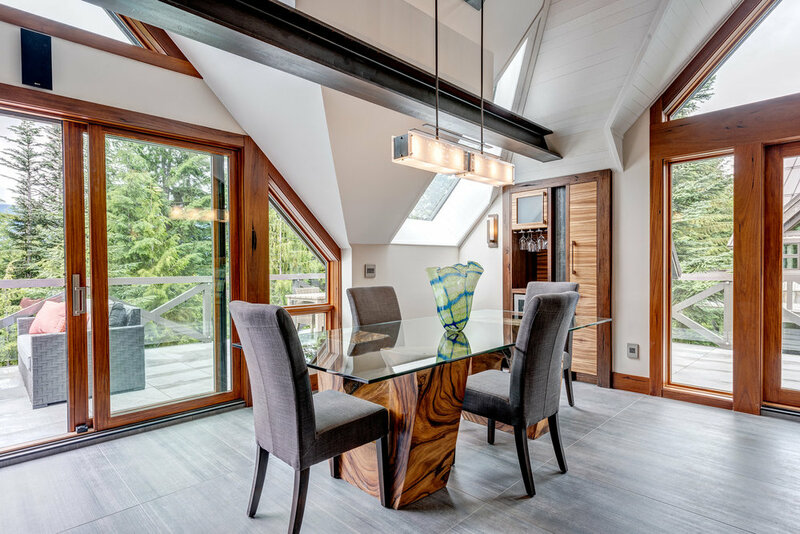 Everwood was lucky to be a part these thoughtful and beautifully executed Whistler Mountain Chalet renovations. 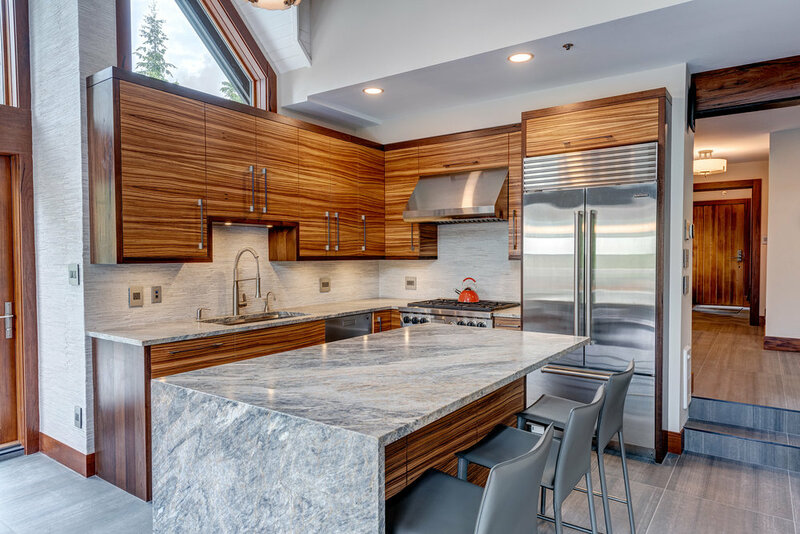 Everwood supplied the timeless Wessex Medieval Walnut interior doors throughout the house, as well as custom kitchen cabinets, island and a dining room wine bar, all built out of Zebrawood with black-finished Medieval Walnut gables. 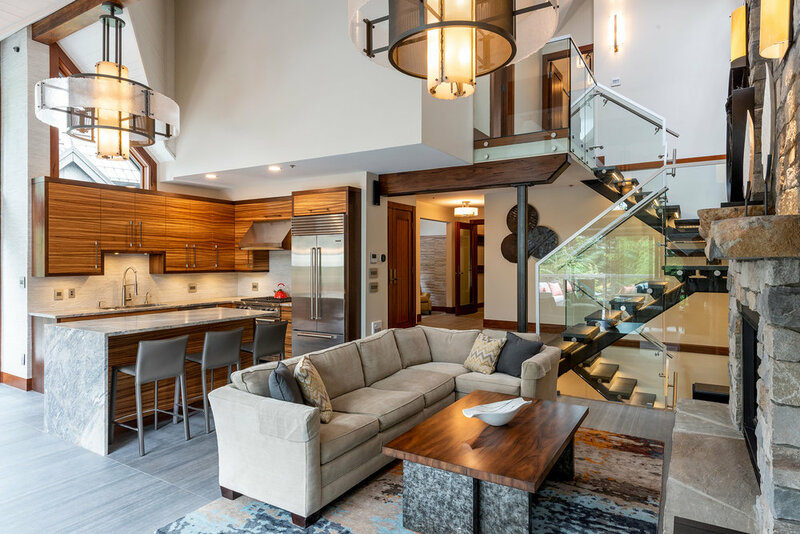 We also created custom Teak bathroom vanities, and Whiskey-finished Medieval Walnut entryway coat racks, shelves, benches, beam details, window trim baseboards and casings throughout the Chalet.